A man on a bicycle finds a discarded white lab coat on the road at night. Then he puts the coat on. 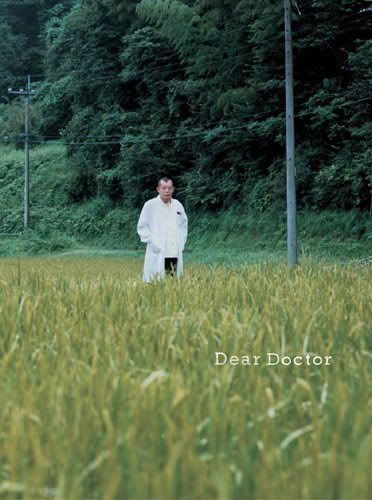 Miwa Nishikawa's Dear Doctor makes clear from the get-go what this film is really about. It's not the looks or the credentials that makes one a doctor, it's one's heart. Adapting from her own novel, Nishikawa, a pupil of Hirokazu Kore-eda (Maboroshi, Nobody Knows), skillfully plays out a story of an imposter. In Kamiwada, a small rural village, the sudden disappearance of their beloved doctor, Dr. Ino (Tsurube Shofukutei), who's been serving them for the last three years, leaves its mostly elderly residents in shock and disbelief. Detectives are soon frustrated with conflicting information given by the villagers with no clear picture of who Ino really is. The film jumps back and forth between the police investigation in to the disappearance and the happier times with Dr. Ino. We backtrack a few months: a young city intern Soma (Eita) shows up in his convertible one day to assist Dr. Ino. The intern is not happy about being there but is soon impressed by how Dr. Ino conducts himself. He is everything the city doctors are not- personable, humble and caring if not a little unorthodox. It becomes apparent to the viewers though that Ino is a fraud. He's been getting by as a doctor with tremendous amount of luck and the help of his loyal and non-judgmental nurse (great Kimiko Yo). Things get a little hairy when Dr. Ino makes a house call to an old widow Kazuko (Kaoru Yachigusa) who's suffering from ulcer. They both have inkling that it is something more serious. But Kazuko doesn't want her daughters to know, especially the one who is a doctor in the city. She doesn't want to burden her grown up children like her late husband did in his later years. But it is a matter of life and death, and it puts Dr. Ino in a precarious position when the city doctor daughter shows up and disputes his diagnosis. Though his life is a lie, Ino is torn. He wants the old widow to get proper treatment, even though the truth may come out. For some, it might be a little hard to swallow that these villagers are that gullible even after the police exposes Ino as fraud, especially considering the distrustful state of modern medical care system. Dr. Ino in that sense is a metaphorical figure, not to the extent of Chance the Butler in Being There, but nonetheless an illusion, a wishful thinking that's a little more tangible in the society with its rapidly aging population. With pitch perfect stellar performances from everyone involved, including Teruyuki Kagawa (Tokyo Sonata, Tokyo!) as a smarmy pharmaceutical rep and gorgeous cinematography by Katsumi Yanagijima (Dolls, Battle Royal), Dear Doctor is a great, if not a little old-fashioned dramedy with a big heart. Just like her mentor Kore-eda, Nishikawa doesn't have one cynical bone in her body. 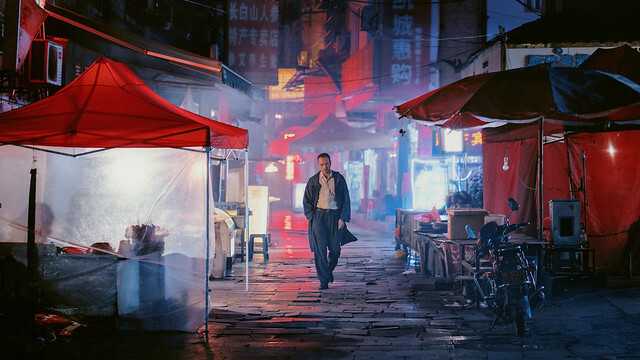 Layers of nuanced visuals, great acting and fitting laid back bluesy soundtrack by More Rhythm are all masterfully put together. But the film belongs to Shofukutei, a rakugoka performer and tv personality, resembling the late Takashi Shimura (Ikiru)- Akira Kurosawa regular, his good-natured pretender is a gleaming projection of our wishes in a cold, impersonal world. Dear Doctor is screening on July 3rd (1:00PM) and July 4th (4:15PM) at Japan Society as part of 2010 New York Asian Film Festival/Japan Cuts.